Tonsil stones or "tonsiloliths" are formed in the crevices of the tonsils. They are made up of cells, mucous, and bacteria that become lodged and harden into white stones. Tonsil stones can be uncomfortable and also cause a throat infection known as "tonsillitis." Symptoms of tonsil stones include scratchy feeling in the throat, sore throat, bad breath, trouble swallowing, stones you can see, and sometimes, ear pain. 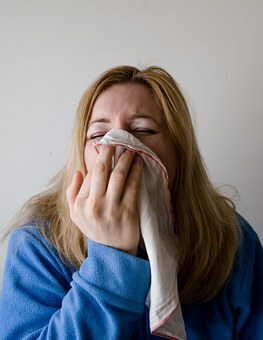 If you have symptoms of a throat infection like fever, swelling, and severe pain you should see your doctor. Most of the time, just a simple tonsil stone doesn’t need medical attention and there are ways to clean them out at home. Read on for some simple home remedies to remove tonsil stones. This remedy can help remove tonsil stones and help prevent them from coming back. All you need to do is gargle with an antibacterial mouthwash every time you brush your teeth. Take one capful antibacterial mouthwash in your mouth. Swish for 5 seconds in your mouth. Put your head back and gargle for 5 seconds. Spit out mouthwash and repeat steps with plain water. 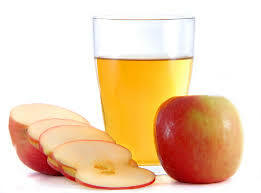 Apple cider vinegar can help flush the stones out, while changing the pH of the throat to help prevent infections. The vinegar can also help to eat away at debris in the tonsils. Place 8 ounces of warm water in a cup. Stir in 1 tbsp. apple cider vinegar. Take in your mouth and avoid teeth if possible. Throw head straight back and gargle for 5 to 10 seconds, as tolerated. Brush your teeth and rinse with fresh water. Sea salt has natural antibacterial properties and is very healthy for the tonsils. Wondering how to get rid of tonsil stones? You may have everything you need right in your kitchen. Brush your teeth and rinse your mouth with fresh water. Place 8 ounces warm water in a cup. Stir in 1 tsp. sea salt and keep stirring until dissolved. Gargle with solution until the cup is empty by gargling and spitting a few times. Rinse your mouth again with fresh water. You can do this each time you brush your teeth to also help prevent stones. 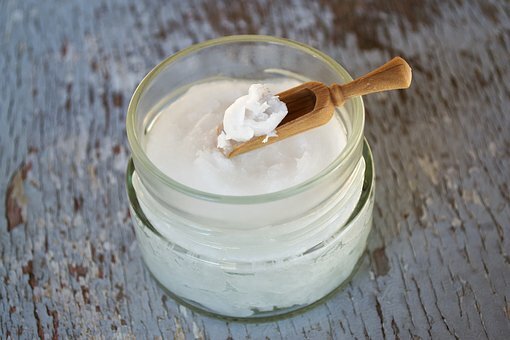 Coconut oil has been found to be a powerful mouth cleanser. Not only does it remove bacteria and plaque, it can help dislodge tonsil stones and prevent them with daily use. Take 1 tbsp. coconut oil and place in your mouth. Swish around your teeth, tongue and mouth for 10 to 15 minutes. Raw garlic is a powerful natural antibiotic. It helps to remove bacteria from your mouth and throat to reduce tonsil stones. Believe it or not, it can also help with bad breath. The antibacterial in garlic is allicin and works best if you allow crushed garlic to sit for at least 10 minutes. Take a clove of garlic and crush with a garlic crusher or fork. Allow garlic to sit for 10 minutes. 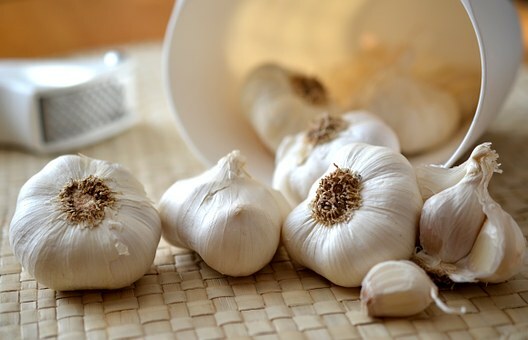 Place garlic in your mouth and allow to sit as long as tolerated, up to 30 minutes. Swish garlic juice and gargle if you can tolerate it. Rinse mouth with fresh water and brush teeth if necessary. If you need to know how to get rid of tonsil stones by expelling them, you can try coughing. Sometimes all it takes is a good cough to clear stones, bacteria, and other things lodged in your tonsils. This method is helpful for smaller stones. This will also help keep your throat and airways clear. Take a deep breath and give a strong cough. Brush teeth and rinse with fresh water. Take an extra sip of water and gargle to dislodge any loosened stones. If gargles or swishing doesn't dislodge the stones, you may carefully try a cotton swab to gently pop them out. Make sure you use a new swab that has been stored in a very clean place. Make sure to be very gentle as tonsils can easily bleed. 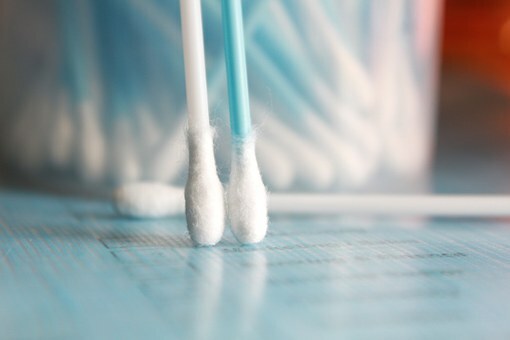 Take a clean cotton swab and dampen the cotton. Place gently but firmly to the side of the stone and push on the tonsil. Push gently on the tonsil all around the stone until it pops. After the stone is dislodged, gargle with fresh water. 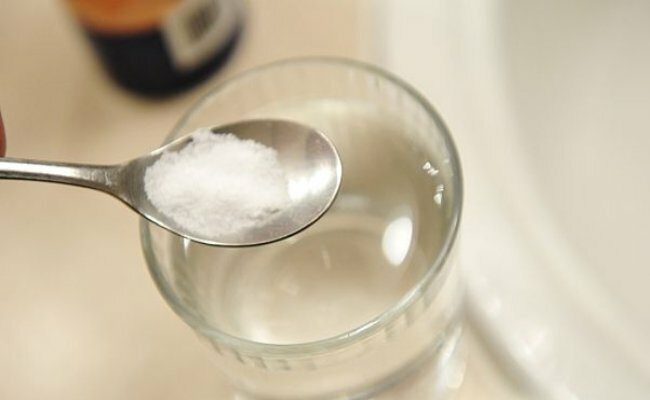 Mix a sea salt solution or gargle with antibacterial mouthwash. Not getting enough fluids can cause tonsil debris to harden and turn into stones. When you drink enough water or sugar free fluids, you can actually flush this debris out before it even turns to stones. Also, if your mouth is too dry the bacteria may grow more readily. 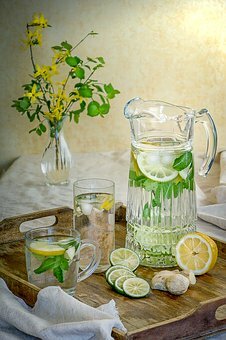 You don't have to over drink water, just don't let your mouth get dry and drink when your body says you're thirsty. Avoid sugary drinks. Sugar can feed the bacteria in your mouth and throat. If you want a great idea on how to get rid of tonsil stones, try taking a quality probiotic to help increase the "good" bacteria in your body. This will help lower the "bad" bacteria counts in your throat and help prevent tonsil stones form forming. You can either use a supplement (make sure you keep it in the fridge) or eat a serving of yogurt every day. Other options are to eat a serving of kimchi, drink kefir, or kombucha.